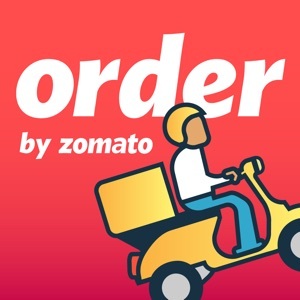 Food & Drink FREE No App Store 2019-02-11 Zomato Media Pvt. Ltd.
Food & Drink FREE No Zomato Media Pvt. Ltd.
Hungry? • Eat whatever you’re craving, from the comfort of your home – order food from hundreds of top rated restaurants near you. • Get exactly what you want – filter by ratings, cost, cuisine & more, browse through up-to-date and descriptive menus or simply search the dish you’re looking for. • Save while you’re at it – enjoy exclusive offers and deals on your favourite restaurants! 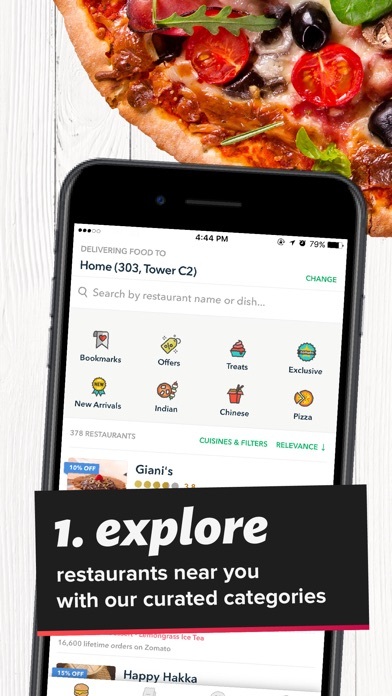 Features: • Choose from the largest selection of restaurants in your city – whether you’re craving a healthy South Indian breakfast of idly, dosa and hot filter coffee, a lavish Italian dinner of spaghetti carbonara or looking to spend a lazy Sunday on the couch with your best friend (pizza, duh! ), we've got you covered. 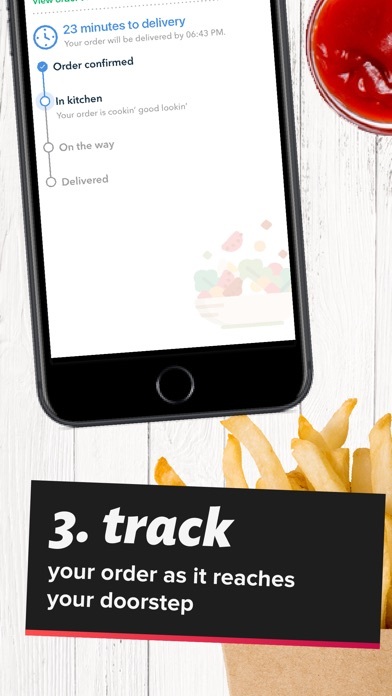 • Make informed choices – see other users' recent delivery experiences, and accurate, updated food menus of all the best restaurants around you before you order. We know that ordering the right Sushi can be tricky! • Find exactly what you need, even from the most obscure local food joint. Remember that tiny bakery nearby with the awesome sugar-free chocolate ice-cream cake dessert thingy that you had on your last birthday? Neither do we. But hey, you can always search by restaurant name, cuisine, or dish and find it in a jiffy! • Filter by delivery rating, cost, cuisine, minimum order quantity, and more. Looking for pocket-friendly places that deliver Chinese with no minimum order amount? Easy peasy! • Always on the lookout for a deal? Save every time you order food – enjoy exclusive discounts and offers on your favourite restaurants. • If you're ever up past midnight binge watching Netflix (or you work at an online food delivery startup), and you want to munch on a juicy burger, you can order from a wide range of late-night delivery restaurants; we’re open 24x7! • Pay cash on delivery, or use online payment options like debit or credit cards and net banking. We also accept mobile wallets like Paytm, MobiKwik and FreeCharge. • Save your most used addresses to place orders even faster. 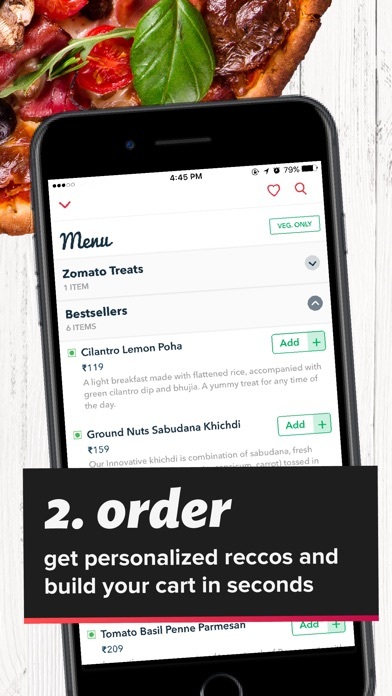 See your entire order history, and save your favourites to re-order them with a single tap. If it takes you more than 10 seconds to order your favourite North Indian curry-naan meal, you're doing it wrong. • Track your order status with real-time notifications, and contact our support team using the in-app chat feature if you need any help with your order. Gone are the days of turning red while yelling 'WHERE IS MY CHICKEN BIRYANI?' into the phone. • Finicky about your food? Got any special cooking instructions for Le Chef? Allergic to peanuts or not a fan of spicy food? Let us know and we'll ensure the restaurant gets the message. • Have a sweet tooth? Have your cake and eat it too – subscribe to Zomato Treats and enjoy a complimentary dessert every time you order food online from hundreds of partner restaurants! 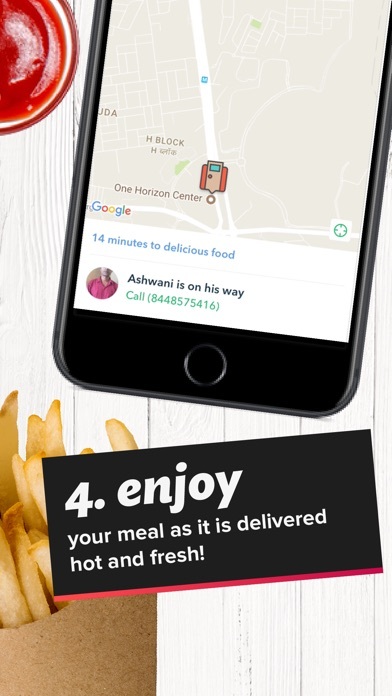 • Order from your favourite fast food restaurants – Domino’s Pizza, McDonald's, KFC, Subway, Dunkin' Donuts *pauses for breath* Burger King, Box8, Chaayos, FreshMenu, Taco Bell, Pizza Hut...we've got them all.